As we all know, the Sigma 35mm F1.4 DG HSM A is the best wide-angle lens for most DSLRs, but the Sigma 18-35mm F1.8 DC HSM A is the best wide-angle lens for Canon EOS 70D, even 2 points better than the former. A 50mm standard prime lens is very useful for your Canon EOS 70D. The Sigma 50mm f/1.4 DG HSM Art lens is the best 50mm lens for Canon EOS 70D. The Canon EF 50mm f/1.4 USM and Sigma 50mm f/1.4 HSM are another two best lenses for 70D at an affordable price. 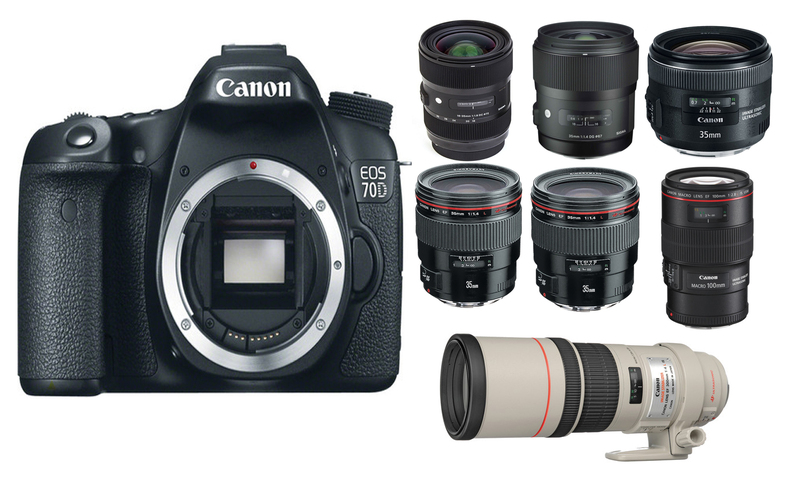 From the list below, it is clear that the Canon EF 24-70mm f/2.8L II USM is the best choice for Canon EOS 70D. Tamron SP 24-70mm f/2.8 DI VC USD is another great choice. If you are looking for a cheaper lens for Canon EOS 70D, you can choose Sigma Lens. From the list, it is clear the Carl Zeiss Apo Planar T* Otus 85mm F1.4 ZF.2 and Carl Zeiss Apo Sonnar T* 2/135 ZE are the best lenses, but both are very expensive. If you choose cheaper lenses, Sigma 85mm F1.4 EX DG HSM Canon, Canon EF 100mm f/2 USM and Samyang 85mm f/1.4 Aspherique IF Canon are your best choice.